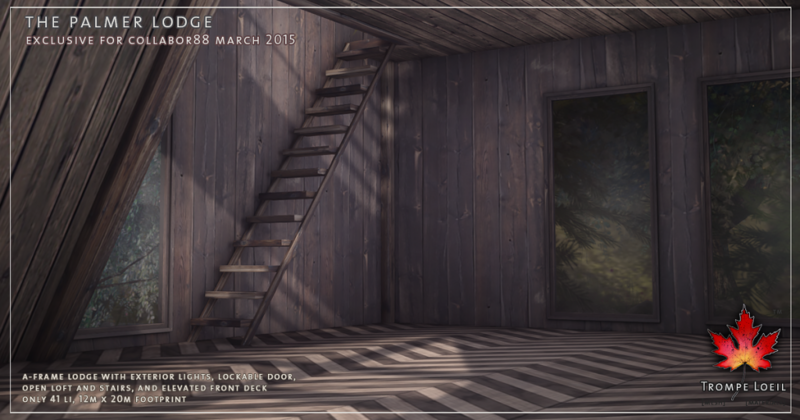 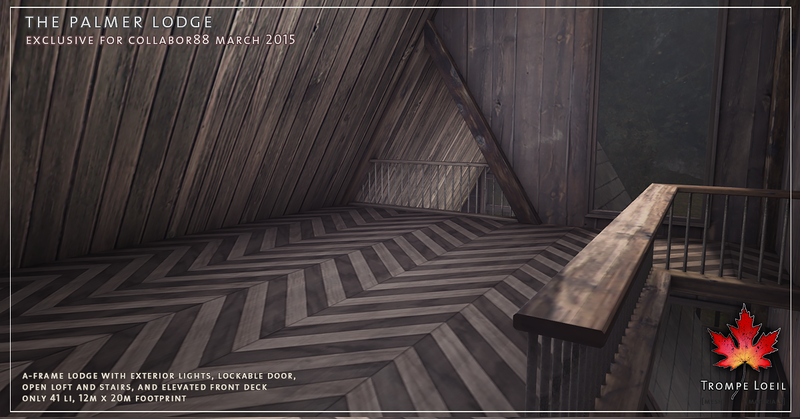 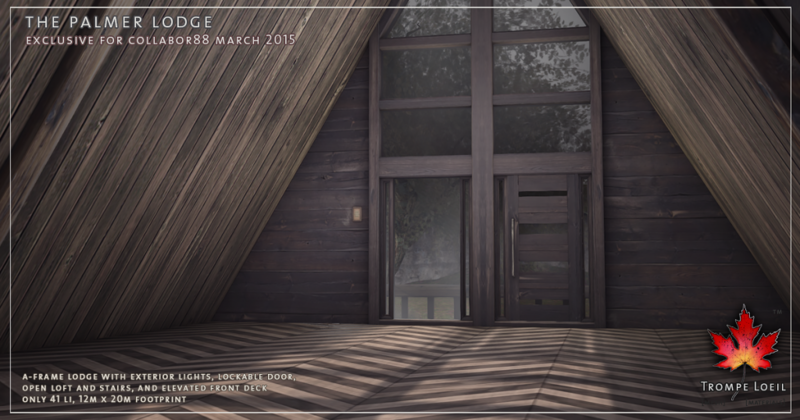 Escape to a place where the birds sing a pretty song, and there’s always music in the air – and decorate it with classic furniture fit for a business tycoon’s daughter – Trompe Loeil’s new Palmer Lodge and Audrey’s Chair + Table, exclusively at Collabor88 March! 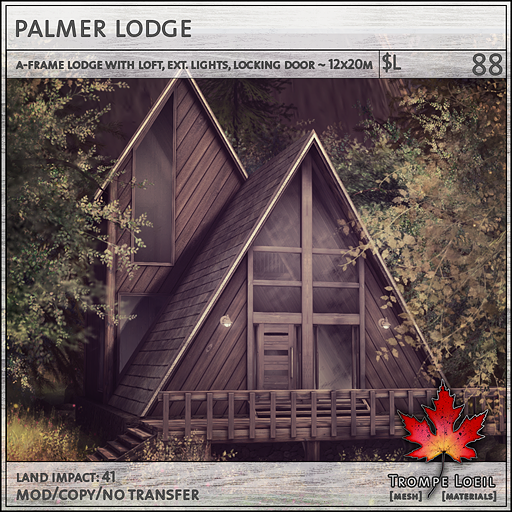 The Palmer Lodge is an A-frame dark wood cottage that features an open loft layout with stairs, exterior lights, lockable door, elevated deck, and our take on a familiar zig-zag floor pattern on both floors. 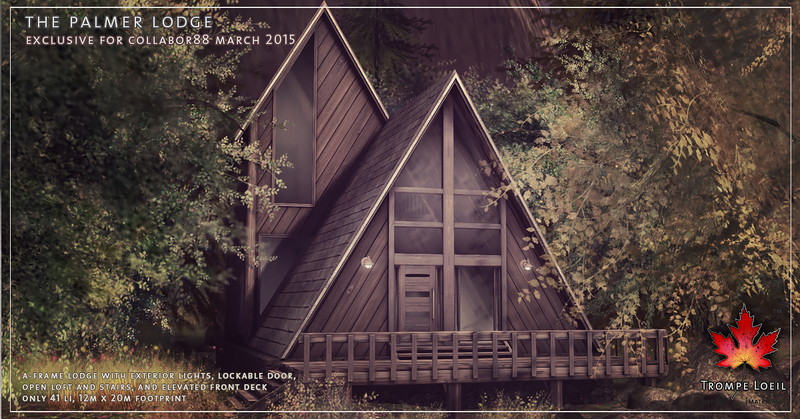 Great for smaller parcels, its only 41 LI! Check out the on-site demo at the Collabor88 sale, or stop by our Mainstore, in the park area outside, to take a look before you brave the crowds. 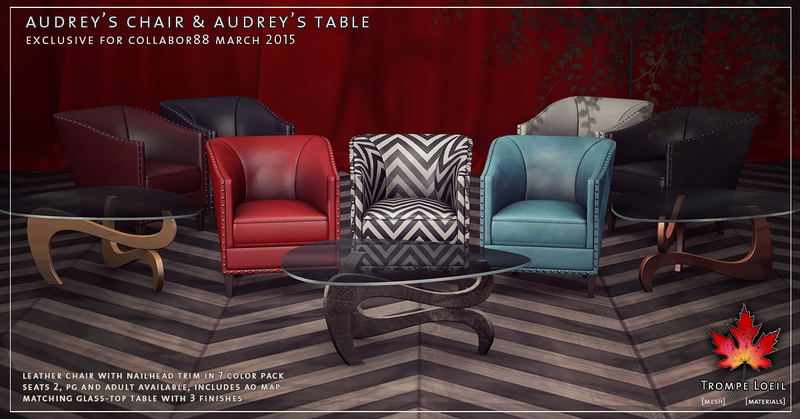 If you’re entertaining guests from Norway or just looking to impress the new FBI agent in town, Audrey’s Chair and Audrey’s Table make the perfect classically stylish statement. 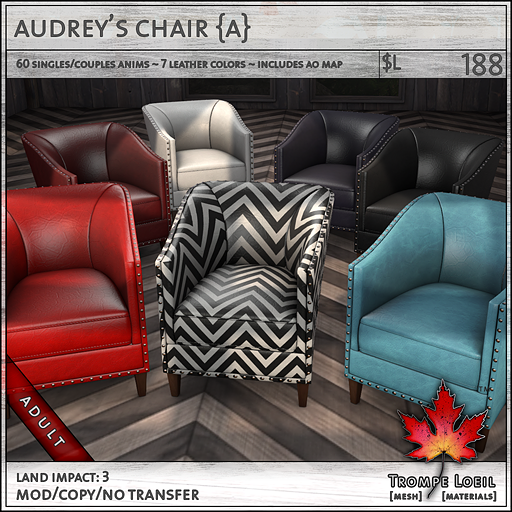 We’ve included 43 singles and couples animations in the PG version and 60 in the Adult chair,and 7 fashion leather colors plus the full-permission AO Map are all included as well! 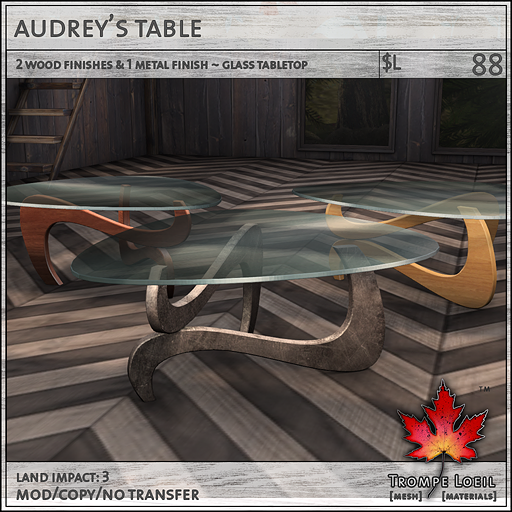 The table includes 3 finishes (woods and metal) with a beautiful glass top ready to hold your damn fine cup of coffee. Grab these high-class pieces at small-town prices, only at Collabor88’s March round!